The utility app has 3 chief features: Accuracy, Clean enough, and Lightweight enough. And, it's full-free. Accurate & Maximum Precision in any conversion results. 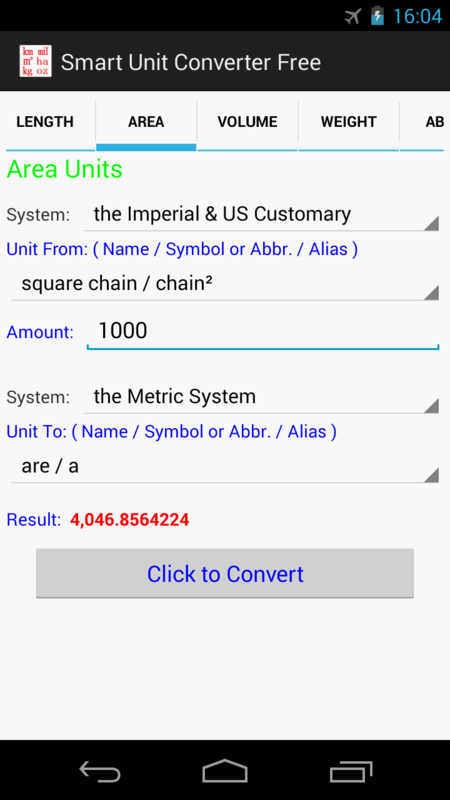 This utility app is in full compliance with authoritative definitions of every involved units. Refer to the app screenshots as below, please. The app is not only Ads-free, without any advertising annoyance, but even requires almost NO "Application Permissions" at all. As a result, the utility app is safe and reliable for users. The size of setup package is SO SMALL as less than 67 KB ! 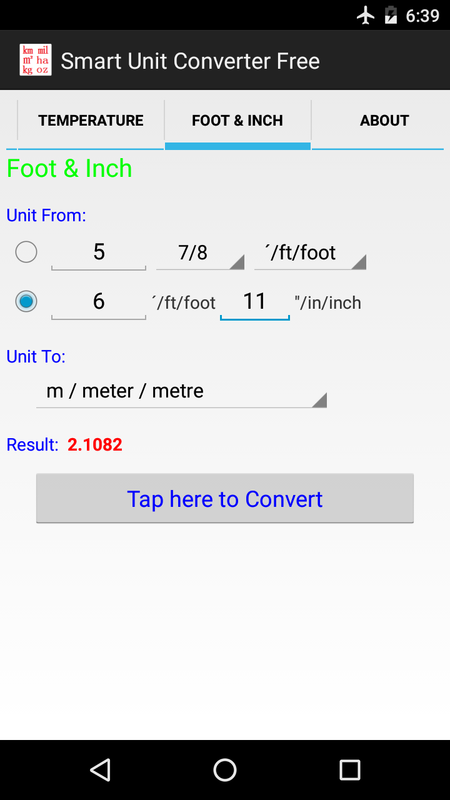 As we can see in Play Store or Amazon Appstore, very few unit converter apps are more lightweight than this one. This app respects your privacy, devices, and your time. 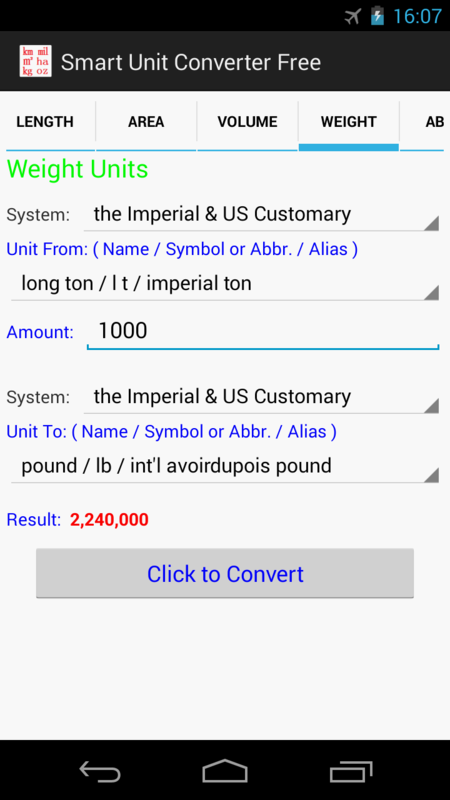 You can also visit Google Play or Amazon Appstore, then search with keywords, Smart Unit Converter pure. The utility app just focuses on the basic unit categories. 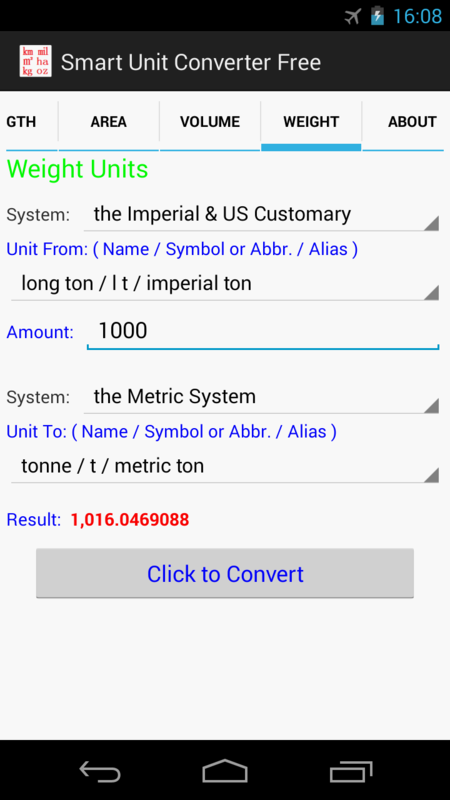 It is expected to help those who need exact conversions between the Imperial or US customary system and the Metric system for those basic units of measurement.